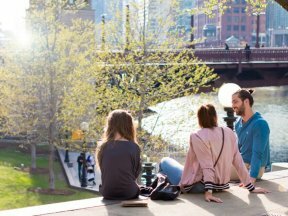 Mayor Rahm Emanuel and Chicago Sister Cities International (CSCI) announced “Unifest on the River: One Globe, Many Cultures,” a new weekly summer series celebrating Chicago’s 28 international sister cities through food, drink and music along Chicago’s iconic Riverwalk. 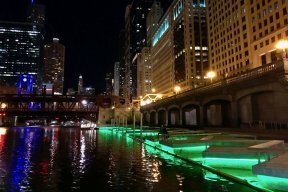 Open to the public every Thursday beginning July 13 through August 17 from 4:30 p.m. – 8:30 p.m., Unifest welcomes people of all ages to the newly revitalized Riverwalk on the Jetty between Wells and Franklin to experience a global Chicago with international food, libations and entertainment. Unifest celebrates culture and cuisine from Chicago and seven different international sister cities every week. Positioned directly across the river from the iconic Merchandise Mart, guests will have the opportunity to enjoy world music from countries such as Colombia, South Africa and India; spirts from Ireland, Mexico and Poland; beers and wines from China, Israel, Italy and Greece; and foods from Ukraine, Sweden, Morocco, Pakistan, Switzerland and other countries from around the world home to Chicago’s international sister cities. Unifest is free and open to the public. Tickets will be available on-site for food and drink, with prices ranging from $2 to $10. For a complete schedule of music and food and additional information, visit Unifest.one.